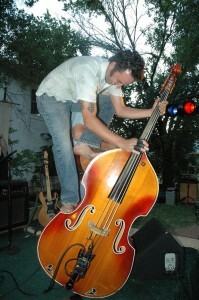 Get ready for a brand new season of Roots Music Series in the Texas Hill Country! Created and hosted by the Pioneer Museum in Fredericksburg, Texas. • All concerts take place on Saturdays 6:30 – 10:30 p.m.
• Gates open at 5 p.m.
• Museum exhibits remain open for Roots guests until 7 p.m.
A series of live, open-air eclectic Roots music concerts on the grounds of the Pioneer Museum on Main Street in Fredericksburg, Texas. Concerts feature both emerging and established artists in an informal, family setting. Entrance is on Milam Street. Admission is $12. Kids under 18 are free. Special! $2 off for advance online tickets, or bring web page printout to gate for $2 discount. During the outdoor concert, guests can purchase a meal and refreshments of wine, beer, sodas, and water. Free parking.